With around 21% of Britain’s population still lacking the basic digital skills and capabilities required to realise the benefits of the internet, BE ONLINE is the brand new campaign from UK online centres and Tinder Foundation. 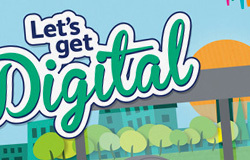 Targeting the digitally excluded the campaign used the network of local UK online centres to deliver informal and free introductions to computer basics. 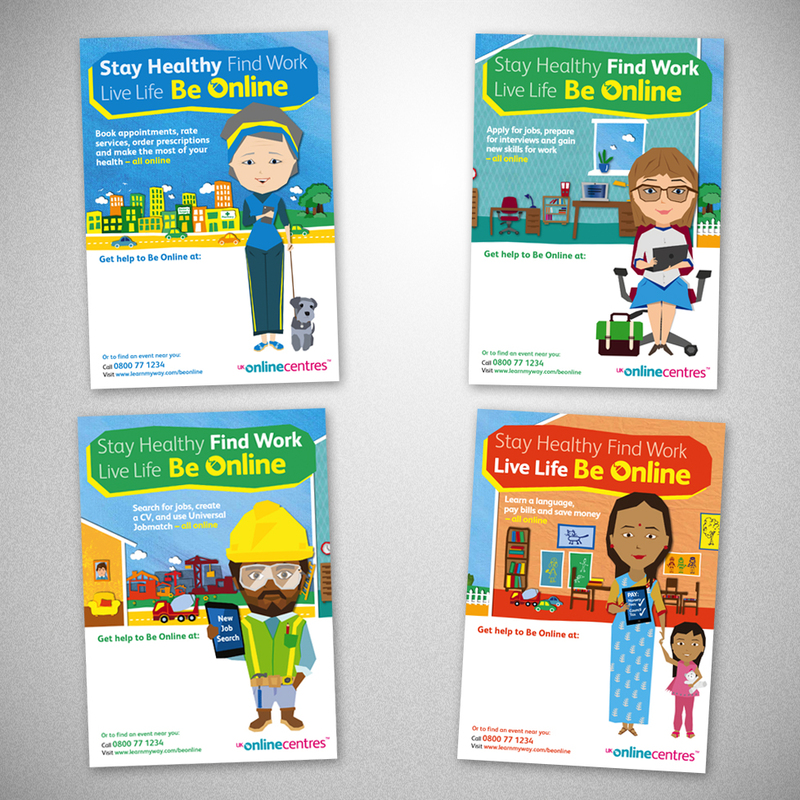 Centred around the themes of staying health, keeping in touch and finding a job the campaign’s core message is that life is a lot easier when you are online and we can help you to get online. An illustrative approach has been adopted for the campaign’s creative and it shows a variety of character representative of the target audiences using technology to find jobs, keep healthy and staying in touch. 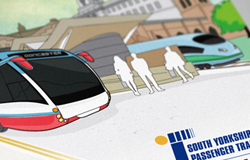 Hard copy marketing collateral has been produced for 650 centres and there is a supplementary digital toolkit which centre managers can access in order to personalise materials for their immediate locality.